Professor Santoro is a philosopher of education who conducts empirical research to study and theorize about the moral and ethical sources of teacher dissatisfaction and resistance. 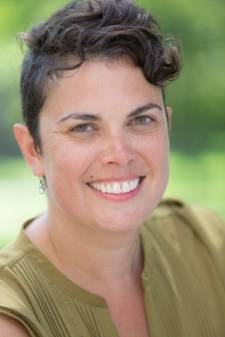 She is a teacher educator for pre-service and experienced practitioners, and examines how norms and values are communicated in professional communities. Professor Santoro is a Senior Associate Editor for the American Journal of Education. Santoro, D. A. & Cain, L., eds. (2018). Principled Resistance: How Teachers Resolve Ethical Dilemmas. Harvard Education Press. Santoro, D. A. (2018). Demoralized: Why Teachers Leave the Profession They Love and How They Can Stay. Harvard Education Press. Santoro, D. A. & Wilson, T. S., eds. (2015). Philosophical Enquiry through Empirical Research. Studies in Philosophy and Education 34, no. 2. Santoro, D. A. (2018). Is it Burnout? Or Demoralization? Educational Leadership 75, no. 9 (pp. 10-15). Santoro, D. A. (2018). Demoralized Teachers and What Local Leaders Might Do. School Administrator 75, no. 5 (pp. 14-15). Santoro, D. A. (2017). Cassandra in the Classroom: Teaching and Moral Violence. Studies in Philosophy and Education 36, no. 1 (pp. 49–60). Santoro, D. A. (2017). Teachers’ Expressions of Craft Conscience: Upholding the Integrity of a Profession. Teachers and Teaching: Theory and Practice 23, no. 6 (pp. 750-761). Santoro, D. A. (2016). “We’re Not Going To Do That Because It’s Not Right”: Using Pedagogical Responsibility To Reframe the Doublespeak of Fidelity. Educational Theory 66, no. 1-2 (pp. 263-277). Santoro, D. A. (2015). Philosophizing About Teacher Dissatisfaction: A Multidisciplinary Hermeneutic Approach. Studies in Philosophy and Education 34, no. 2 (pp. 171-180). Wilson, T. S. & Santoro, D. A. (2015). Philosophy Pursued through Empirical Research: Introduction to the Special Issue. Studies in Philosophy and Education 34, no. 2 (pp. 115-124). Santoro, D. A. (2013). “I Was Becoming Increasingly Uneasy about the Profession and What Was Being Asked of Me”: Preserving Integrity in Teaching. Curriculum Inquiry, 43, no. 5 (pp. 563-587). Santoro, D. A. (2011). Good Teaching in Difficult Times: Demoralization in the Pursuit of Good Work. American Journal of Education 188, no. 1 (pp. 1-23). Santoro, D. A. with Morehouse, L. (2011). Teaching’s Conscientious Objectors: Principled Leavers of High-Poverty Schools. Teachers College Record 113, no. 12 (pp. 2671-2705). Dorn, C. & Santoro, D. A. (2011). Political Goals and Social Ideals: Dewey, Democracy, and the Emergence of the Turkish Republic. Education and Culture 27, no. 2 (pp. 3-27). Santoro, D. (2010). Teaching to Save the World: Avoiding Circles of Certainty in Social Justice Pedagogy. Philosophy of Education 2009, D. Kerdeman, ed. Urbana, IL: Philosophy of Education Society (pp. 241-249). Santoro, D. A. & Cain, L. (2018). Introduction. Principles of Resistance: How Teachers Resolve Ethical Dilemmas. Cambridge, MA: Harvard Education Press. Cain, L. & Santoro, D. A. (2018). Conclusion. Principles of Resistance: How Teachers Resolve Ethical Dilemmas. Cambridge, MA: Harvard Education Press. Hochman, J. & Santoro, D. A. (2018). Tweeting to Transgress: Teachers on Twitter as Principled Resistors. Principles of Resistance: How Teachers Resolve Ethical Dilemmas. Cambridge, MA: Harvard Education Press. Santoro, D. A. (2017). Method: Intelligent Engagement with Subject Matter. The Centennial Handbook of Democracy and Education, L. Waks & A. English, eds., Cambridge: Cambridge University Press. Santoro, D. A. (2016). Protect Teacher Integrity. Dilemmas of Educational Ethics: Cases and Commentaries, M. Levinson & J. Fay, eds. Cambridge, MA: Harvard Education Press. (pp. 137-142). Santoro, D. A. & Dorn, C. (2012). “A Vital, Free, Independent and Lay Republic”: John Dewey and the Role of Education in Establishing the Turkish State. Teaching America to the World: Education and Foreign Relations since 1870, R. Garlitz & L. Jarvinen, eds., New York: Palgrave Macmillan (pp. 93-110). Santoro, D. A. (2015). Review of Geraldine J. Clifford, Those Good Gertrudes: A Social History of Women Teachers in America. Teachers College Record. http://www.tcrecord.org ID Number: 17950. Santoro, D. A. & Rocha, S. D. (2015). The Beautiful Risk of Teaching: Review of Gert Biesta, The Beautiful Risk of Education. Studies in Philosophy and Education 34, no. 4 (pp. 413–418). Santoro, D. A. (2011). Review of Sharon Todd, Toward an Imperfect Education: Facing Humanity, Rethinking Cosmopolitanism. Studies in Philosophy and Education 30, no. 3 (pp. 303-310). Smith, B. (2018). Why Teachers Leave and How Do We Get Them To Stay? #SquirrelsChat & Periscope simulcast. Santoro, D. (2016). Race and Education. Blunt Youth Radio. August 29, 2016.